Beautiful 3 bedroom villa nestled in the hills of Anse Marcel with spectacular ocean view. Beautiful 3 bedroom villa nestled in the hills of Anse Marcel with spectacular ocean view. Surrounded by lush tropical vegetation the villa has a large infinity pool, a spacious terrace with outdoor dining area and a charming gazebo built into the hillside. Fully air-conditioned the villa has a large living /dining area with an open plan gourmet kitchen. Very stylish and comfortable the living area is filled with objets d'art with glass sliding doors opening for the whole length onto the pool terrace. The three bedrooms each have en-suite bathrooms , the master and second bedroom can be accessed from the living area and the 3rd bedroom has it's own separate entrance from the terrace. 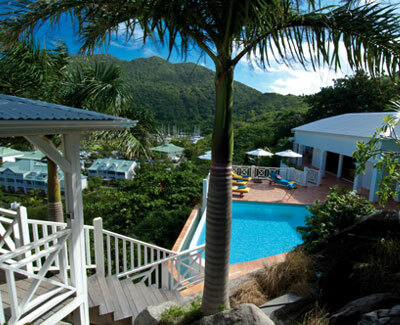 Very secluded and tranquil but within easy reach of the Anse Marcel marina.